Steven and Kathy S. (Love) Serafino, 30262 CR 26, Elkhart, recently celebrated their 25th wedding anniversary. 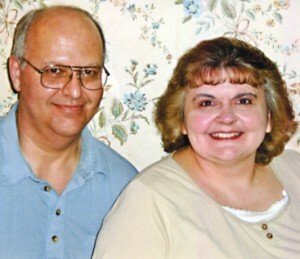 They were married April 25, 1987, at First Church of God, Goshen, with Rev. Norman Patton officiating. The couple have three children who are triplets: Emily S. Serafino, Winona Lake; David S. Serafino, Elkhart; and Amelia K. Serafino, Winona Lake. Steven is the owner/operator of Uncle Henry’s Restaurant, Elkhart. Kathy is a registered nurse at Memorial Hospital of South Bend. They attend Riverside Bible Church in Elkhart. They will celebrate with a family dinner at a later date. They will also take a trip to Indianapolis and attend the musical “Music Man” at the Beef and Boards Theater.